John Polson of IndieGames.com has an exclusive interview with myself and Richard Boeser, developer of ibb and obb. On the last day before the deadline, after a rush to the bank to deposit the 95 dollar entrance fee into a check card ready account and a 40 minute drive back home to get the thumb drive holding the code for the prototype, following a late arrival for work with a sneaky ftp upload when I was supposed to be retouching, Duet is now officially entered into the 2012 Independent Games Festival. It is competing alongside 568 other games: a record turnout. Submissions come both from first time developers, as well as seasoned veterans. Unfortunately, the production version was not yet complete enough for a viable submission, so that means no fancy graphics or sound. Here’s hoping Duet wows some judges with it’s intellectually stimulating puzzly goodness! Duet is a puzzle platformer. But that really just describes the mechanics of the game, without really delving very deep into the definitions of such mechanics. So, in the worst style of writing, let’s define these terms with help from the internet. So, these definitions seem about right to describe Duet. But my research seems to suggest a divide between games and puzzles. So the question that I’m proposing, is where do I draw that line? Is Duet a puzzle or a game? 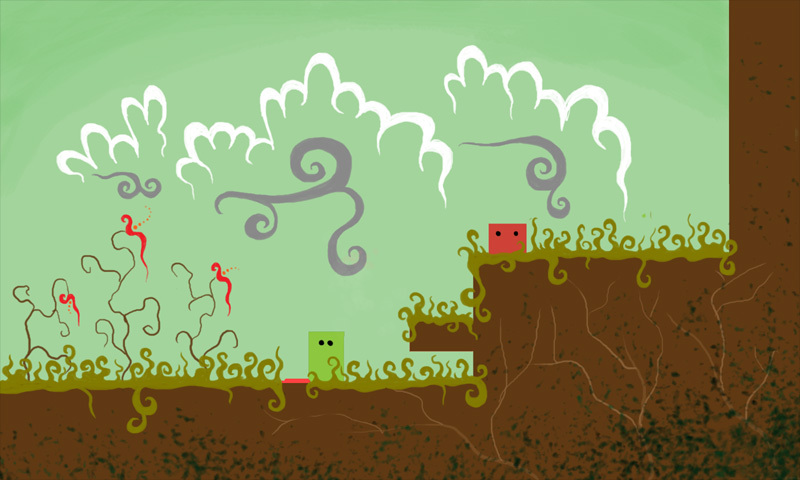 Games typically are designed to be as replay-able as possible, the idea being to explore the nebulous space afforded by the game’s mechanics. Once that exploration is completed to the satisfaction of the player, Playing the game is no longer necessary or interesting. Therefore all games must be inherently educational and interesting, but one must remember that a person’s prior experiences in and outside of games can reduce the novelty of an previously unplayed game to a point where she may find it not worth her time. Puzzles–as defined earlier–however are intrinsically free of replay value. Once a puzzle has been solved–deliberately and with understanding–it is no longer valuable to the solver. This is to say that puzzles are only replayable if the solver does not understand why he solved the puzzle in the first place. Puzzles are similar to games in that prior experience with similar problems can nullify the intrinsic value of a puzzle to the point where the intellectual gain from solving it becomes trivial. However, the primary difference between puzzles and games is the goal. The goal of puzzles to find the solution, the goal of games is to win against an opponent. However, there are still contradictions within these definitions. What exactly is an opponent in a single player computer game, what exactly is a solution? 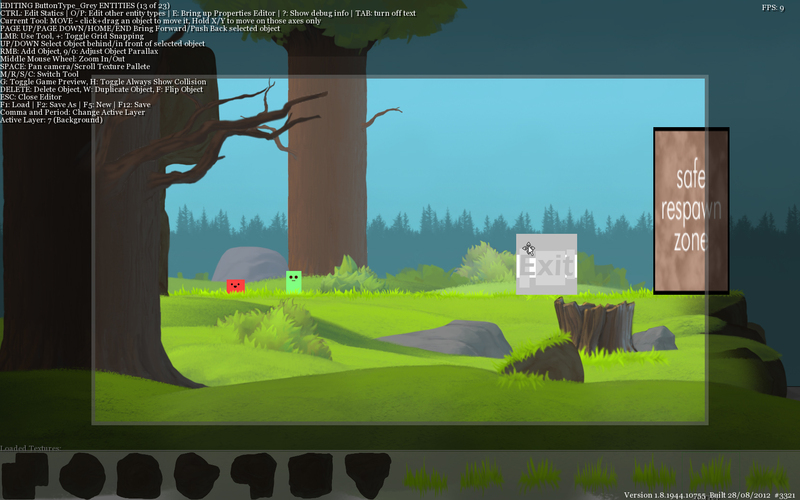 Duet, as well as other games (Braid, Portal) are (perhaps uncomfortably) straddling the line between games and puzzles. On one hand, they quickly fit into the earlier definition of a game, they are based on formal systems and rules, they do have quantifiable outcomes with different values assigned to them, the player does exert effort to influence the outcome, she feels attached to the outcome, and the consequences are negotiable. However, the games also fit the definition of a puzzle, they have a solution–solvable only once– having limited replay value. So where do these games lie exactly, are they really games at all? Is a game a type of puzzle? Is a puzzle a type of game? Are puzzles, by their very nature, inferior to games? Me and my fiancee have been working on some concepts for the art style of the game. These are very work in progress. They are mainly intended to help discovery of the mood for the game. Well, it’s that time again. The time of the month that I suddenly realize that I haven’t posted anything on this blog in a few weeks. But anyways, I said had news, so I should get on with it. I always feel that it’s best to get the bad news out of the way first, so that the good news can give me some hope in the end. It’s more dramatic that way. So the bad news is that Fij is postponed indefinitely. Meaning that I most likely won’t work on it for a while. Truth is, I probably won’t finish it, looking at my history of unfinished projects. However, I definitely have some ideas that I want to pursue with Fij, so it will sit on my back-burner. The good news is, I’m working on a new project in Game Maker. Which I know probably seems like a step back from real programming. But it’s actually going great. 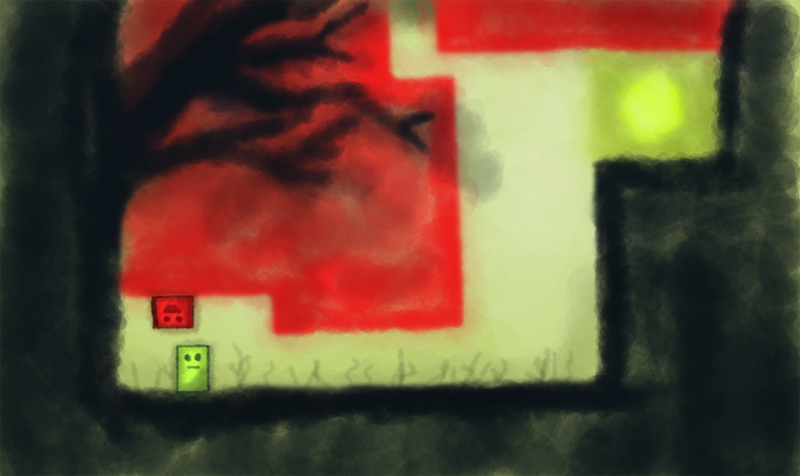 I don’t currently have a name for the game, so it’s just Untitled Cooperative Platformer in my mind right now. I also don’t know whether the current graphics are any indication of what the final game will look like, but the little blocky people have a certain charm to them, don’t they? 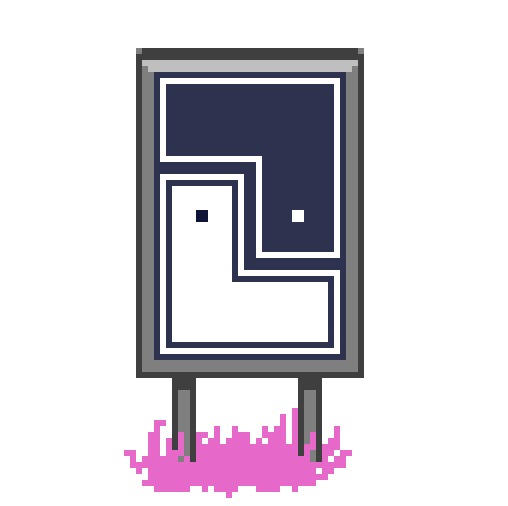 The design process is sort of an exploratory one, I just doodle out levels and try out any gameplay elements that I might be thinking of in different ways. If I can make it through the level some how, then it’s a puzzle. But usually I don’t know if I will be able to make it through the level before I test it. So the game is telling me what it should be. And I’m just sort of letting it become itself. Not to say it doesn’t require work, or that there aren’t bugs. But I do keep an open mind before I squash bugs, and try to see if the bug is actually functionality in disguise. 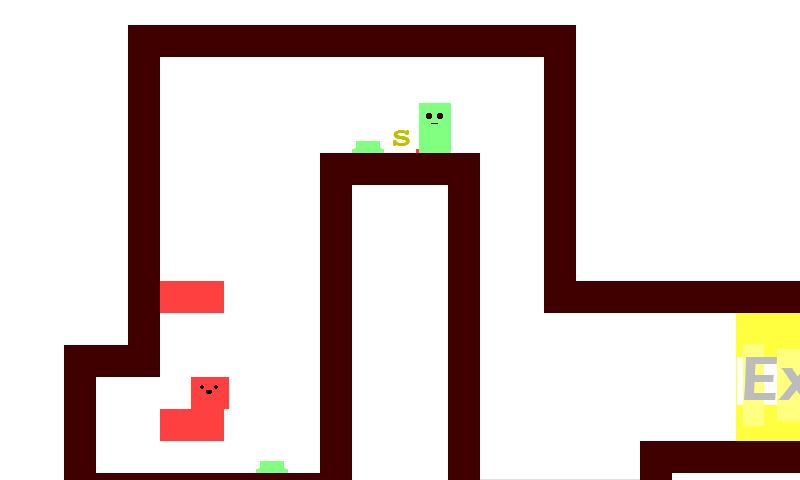 And just in case you want to test it out in it’s currently simple state, here’s a demo-ish length version of the game. 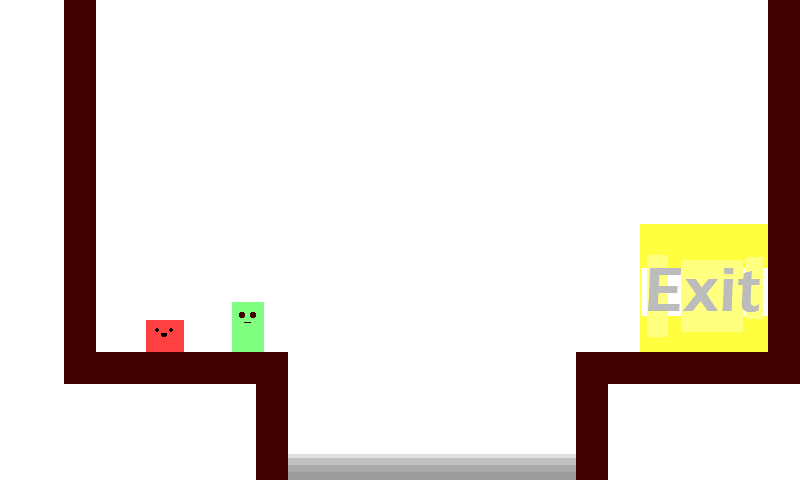 It is my first game maker game, so if there’s some wierd .dll file you need, then let me know. Feedback of any kind is gladly appreciated. However, do keep in mind that it requires two players to play the game. It is possible to get through it on your own, but it would require some serious skills.